The Big Day Out is mere weeks away and now punters who are off to the festivals in Sydney, Melbourne, Adelaide, Perth and the Gold Coast will be able to take with them the ultimate Big Day Out accessory – the Big Day Out mobile app (pictured)! It’ll give you all the information you need about the Big Day Out festivals across the country, with set times, stage line-ups and a unique feature that allows you to create your very own personalised schedule, so you’ll be sure not to miss your favourite act. It’s also packed with the latest Big Day Out news, bios, pictures and even a virtual lighter so you can show your appreciation for your favourites when the sun goes down and things start getting a little emotional after a few too many JD and Cokes. 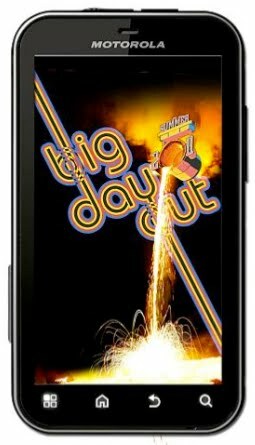 The app is available for iPhone from the iTunes store, while Android phone users can head to the BIG DAY OUT WEBSITE to nab it free!